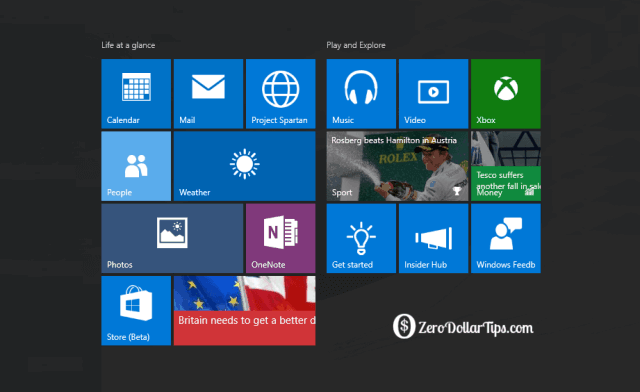 Want to uninstall a default or pre-installed app in Windows 10? If yes, this Windows tutorial will explain to you how to remove Pre-installed Windows 10 Apps or delete preinstalled apps from Windows 10 immediately. Similar to the previous Windows operating system (Windows 8), Windows 10 is also full with a bunch of universal Windows apps and modern applications. If you have installed Windows 10 on your PC or upgraded to Windows 10 from previous versions of Windows then you may notice that several pre-installed apps are available there. Some of the well-known preinstalled Windows 10 apps are: Windows Store, Get Office, Calculator, Alarms & Clock, Get Skype, Calendar and Mail, Camera, Movies & TV, Weather, OneNote, Groove Music, People, Money, Phone companion, and Voice Recorder etc. Most of the Windows users feel that only some of the preinstalled apps in Windows 10 like Calculator, Weather, Camera, and Mail are extremely useful for daily use, while many other preinstalled apps like Groove Music, People, Money, Phone companion, and Voice Recorder are not really useful for them. And this is the main reason, they want to get rid of these preinstalled apps. If you have already attempted to remove preinstalled apps from Windows 10 PC then you may have noticed that these pre-installed apps can’t be removed through Control Panel or Windows 10 Settings app. In order to uninstall or delete preinstalled apps in Windows 10, either you will have to use the PowerShell commands or third-party software. Although, removing pre-installed Windows 10 apps using PowerShell is one of the simplest methods. But if you are not comfortable with uninstalling built-in apps or preinstalled apps in Windows 10 using PowerShell commands then obviously the use of third-party utilities to uninstall preinstalled apps in Windows 10 would be a great option for you. There is a wide variety of free software to uninstall preinstalled apps in Windows 10 available on the web, but if you are looking for an easy to use free utility then “Windows 10 App Remover” is the most appropriate option for this task. 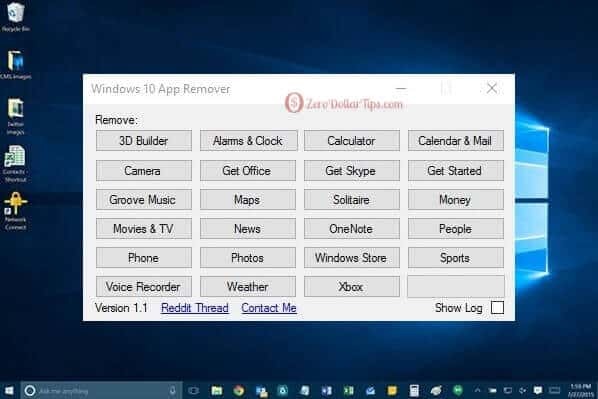 Windows 10 App Remover is a very simple to use free software and specially designed to uninstall or remove preinstalled apps in Windows 10. Basically, this free software lists all the preinstalled Windows 10 apps on its user interface and allows you remove them one by one. Step (1): First of all, Download Windows 10 App Remover and run it on your Windows 10 PC. Step (2): After that, simply click on the app name which you want to uninstall and select Yes option. Step (3): That’s it! The selected pre-installed apps will be removed immediately from your Windows 10 PC. Important note: There is no need to run Windows 10 App Remover as administrator. If you will try to run this free software with administrator privileges, the software will fail to work. So, just run Windows 10 App Remover as usually you run other normal Windows programs. I am pretty sure, this Windows 10 tutorial helped you to uninstall default or pre-installed apps in Windows 10. Feel free to ask or share your view with us through comments about Windows 10 App Remover. You can also suggest us – which types of methods or software you are using to uninstall or remove pre-installed Windows 10 apps?